Step 1: Hover your mouse over the Order Mouthguards tab on the front page. Step 2: Choose your preferred mouthguard style then click Select Options. 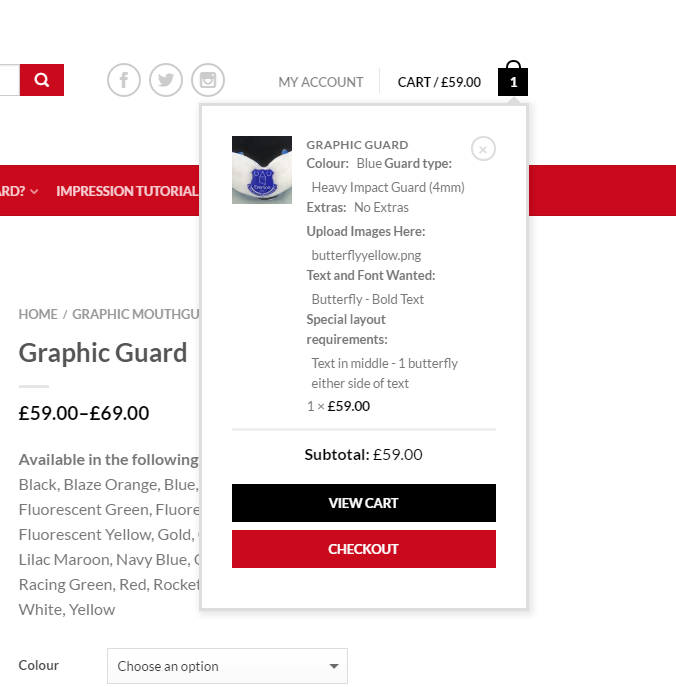 Step 3: Choose the Colour, Guard Type and Any Extras you may want, if you’re unsure of what guard type to choose check out the Which Guard? page. Step 4: If you want a graphic on your guard select the Choose File then select and upload your desired graphic. 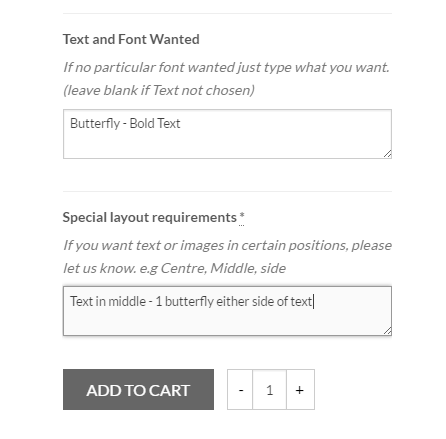 Step 5: Fill in the text boxes with the Text, Font and Layout Requirements suited to your custom guard. 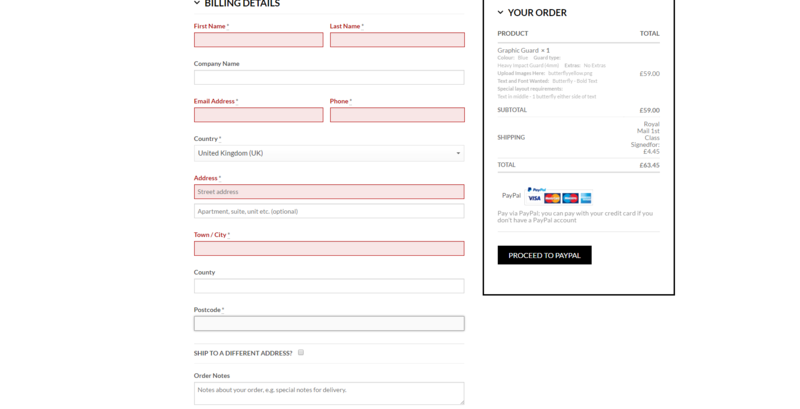 Step 6: Hover your mouse over the Cart tab in the top right of your screen then select Checkout. Step 7: Fill in your Billing Details then select Proceed To Paypal. Step 8: Your order is complete! Your mouthguard will be delivered between 10-14 working days from the date we receive your impression.